I am spending a couple of weeks in my hometown, Brescia, Italy, where I return quite often not only to visit my family and friends, but also to train with Monique Arnaud, the Noh teacher that first introduced me to Noh theatre. Arnaud is a shihan, a Noh instructor licensed by the iemoto of our stylistic school, the Kongō School of Noh. Arnaud, who is originally French, has spent most of her life abroad, first in China, then Japan, then Italy, where she currently resides, working as opera choreographer, and teaching theatre directing at IUAV University of Venice. These days I am working on the maibayashi from the Noh Kiyotsune (清経). Maibayashi is one of the various canonical ways of performing excerpts of a Noh play, such as shimai (short dance with the accompaniment of a small chorus) or rengin (seated chant of a section of a play). Maibayashi (舞囃子) is a word composed by the characters for ‘dance’ (舞 mai) and ‘Noh instruments’ (囃子 hayashi). Unlike shimai, the maibayashi features the accompaniment of chorus and of the Noh orchestra, and is usually longer than an average shimai, often featuring an instrumental dance between two sections of the play. Kiyotsune is a play from the second category (Warrior plays) and tells the story of Taira no Kiyotsune (平 清経) a general of the Heike clan appearing in the Heike Monogatari epic who drowned himself at Yanagi-ga-ura (present Kitakyūshū) after realising the unavoidable defeat of his army, chased by the Genji clan. Just before committing suicide, Kiyotsune cuts his hair and gives them to his retainer Awazu no Saburo, instructing him to present it to his wife as a keepsake. 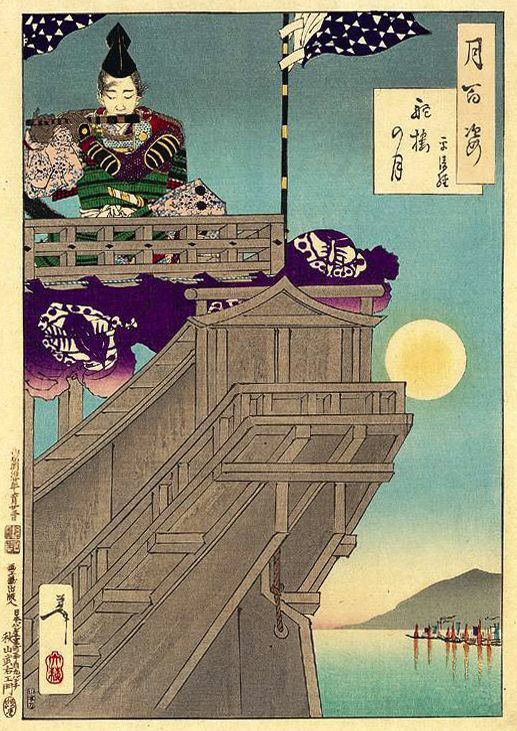 The Noh opens with Saburo returning to Kyoto, where Kiyotsune’s wife awaits for the return of her husband. Once Saburo tells her about her husband, the wife is shocked and laments how Kiyotsune failed to keep the promise to reunite with her, and refuses the gift. Still in tears, she goes to sleep, where Kiyotsune visits her in dreams. In the second half of the play the ghost of Kiyotsune, in full warrior attire, appears, and discusses with the wife. This is a most interesting section, with Kiyotsune blaming the wife for having refused his gift, while the wife blames him for the selfish act of committing suicide. Blaming each other in what seems like a domestic fight, the couple realises how their condition is similar, both suffering from loss and longing, as this world and the other world are made of the same substance. Kiyotsune then recounts his last days, and, in the final dance, he mimes how he now suffers in hell, where rain is like arrows pouring from the sky, mountains are like iron castles, and enemy warriors advance inesorably like flags of clouds. 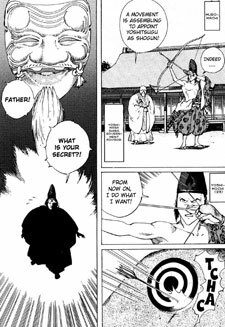 As it often happens in Noh, it is thanks to the power of the narration of one’s own story (as in a psychoanalysis session) that the characters come to realise the inconsistence of their pain, and manage to get rid of the attachments that prevent them to reach enlightenment. In this case, Kiyotsune reaches enlightenment not only thanks to the nenbutsu prayer he recites before jumping into the water, but also because he comes to terms with his wife. In a way, it is not only the dissatisfaction with his own death, but also the resentment that his wife feels for him that cause his suffering. I have already performed the maibayashi from the Noh Kochō (胡蝶) a couple of years ago, which contains a standard chu-no-mai medium tempo instrumental dance. However, in Kiyotsune there is no dance between the kuse and kiri sections, but a short exchange between husband and wife, before the kiri closing section where Kiyotsune recounts his torments in the hell of the ashura, the defeated warriors who remain attached to this world and cannot reach enlightenment are destined to suffer. This section is characterised by the guntai martial style, in which the kamae basic stance is performed in han-mi style, slightly lateral instead of frontal. This stance is typical of martial arts, and basically aims at avoiding to offer the front of the body to the opponent, while at the same time presenting the arm that would hold a sword or shield. As maibayashi are not in costume, this dance is performed with two fans – one is open and represents the shield, the other the sword. Handling two fans at the same time is not easy, though the greatest difficulty of the martial stile consists in performing jumps and other more acrobatic movements while maintaining the stability and solidity typical of Noh dance. As a ‘caucasian’ I also find that my legs are longer that the average east-asian: in order to take a good posture I have to bend my knees much more than the usual, which in the case of a warrior is already a lot! This puts much stress on knees and thighs, and naturally leads me to reflect on the extent to which Noh is a form of art tailored around a specific body type (male Japanese), and might not immediately fit other bodies. What is the future of the Noh bodies? 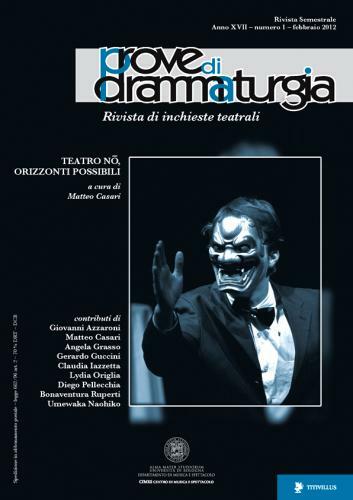 The new issue of the Journal Prove di Drammaturgia, entirely dedicated to Noh theatre, features my article on the first Noh theatre performance in the West in Venice 1954. The journal is available here. The journal is entirely in Italian, though I am currently working on an English version of the essay.